At Kennelly Business Law in Fargo, North Dakota, we are here to help you with all of the important and pressing legal issues affecting your business, your property and your future. As natives of North Dakota and Minnesota, we have a genuine concern for the legal matters that affect the residents and businesses of our community. We also have invaluable insight into our area's local courts and procedures, so we can help you find the solutions you need and achieve the goals you seek efficiently and cost-effectively. Recognized for our success, our law firm has earned many positive reviews and referrals from satisfied clients who return to us time and again for their important legal issues, and our attorneys have received numerous awards and honors for their professionalism and service, including a coveted AV Preeminent* peer review rating from Martindale-Hubbell. This means you can expect to receive the highest level of counsel and support from a local attorney who is completely dedicated to your needs. 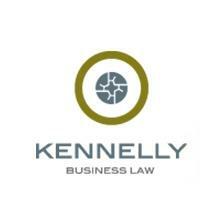 To find out more about how Kennelly Business Law can best serve you and your company, you can contact our office by phone or through our law firm's website to schedule a free initial consultation.